Fergal is ideally located close to Cheltenham in the heart of the Cotswolds. Our first horse with Fergal (the impressive bumper winner and Goffs £50,000 Sales Race third Benny’s Bridge) was tremendous fun with this up-and-coming and popular trainer. Fergal has an owners’ day most Saturdays and everyone can go onto the local pub for breakfast after. Fergal enjoyed a fantastic 2016/17 season with 60 winners and prize money in excess of £600,000, including Midlands National winner Chase The Spud, Gr.3 Heroes Handicap Hurdle winner Lord Of The Island, 4-time and Gr.2 novice hurdle winner Colin’s Sister and 3-time bumper and Listed winner Cap Soleil. The 2017/18 NH season was another very exciting time for Team FOB. Fergal, assistant trainer Sally Randell, head lad Kev Brown and a great team of stable staff managed to get 60 winners on the scoreboard (as they had the previous season), with prize money in excess of £710K and their first ever Grade One winner, Poetic Rhythm. Fergal is looking to build on that in 2018/2019 and he is very excited to be training another horse for Biddestone Racehorse Syndicates, a gorgeous gelding by Black Sam Bellamy. 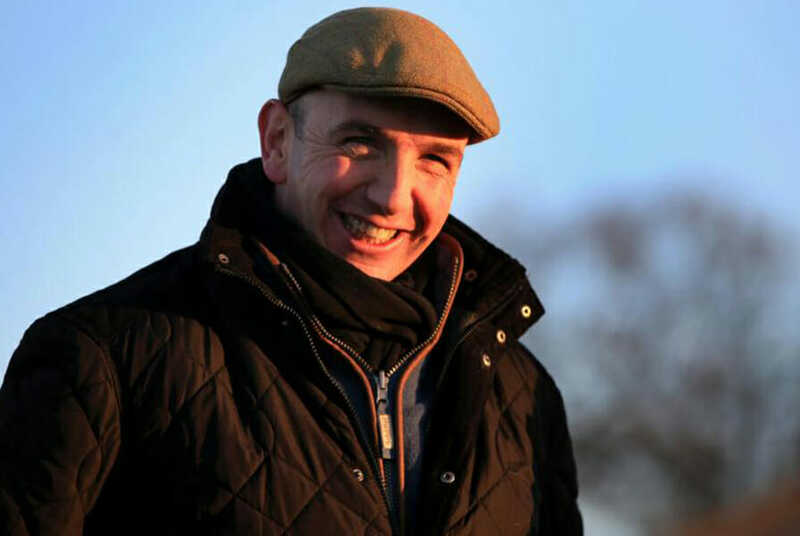 Fergal O’Brien trains at Upper yard, Grange Hill Farm in the heart of the Cotswolds. The facilities are second-to-none with 53 newly refurbished stables, office and owners room, 2 all-weather gallops, a horse walker and equine swimming pool.